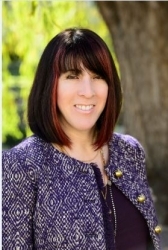 San Mateo, CA, January 16, 2019 --(PR.com)-- ABD Insurance and Financial Services announced today the promotion of Cristina Varner to Life Science National Practice Leader. ABD saw significant overall expansion and exceptional performance in 2018, due in large part to the growth and expertise of the Life Science Practice. ABD’s Life Science practice now serves approximately 300 clients, ranging in size from small venture-backed startups to multi-billion-dollar companies. Cristina is located at our headquarters in San Mateo, CA and can be reached at cristina.varner@theabdteam.com.